This was a dangerous situation here. This was a 1940 home where the water heater was in a closet off of the living room. 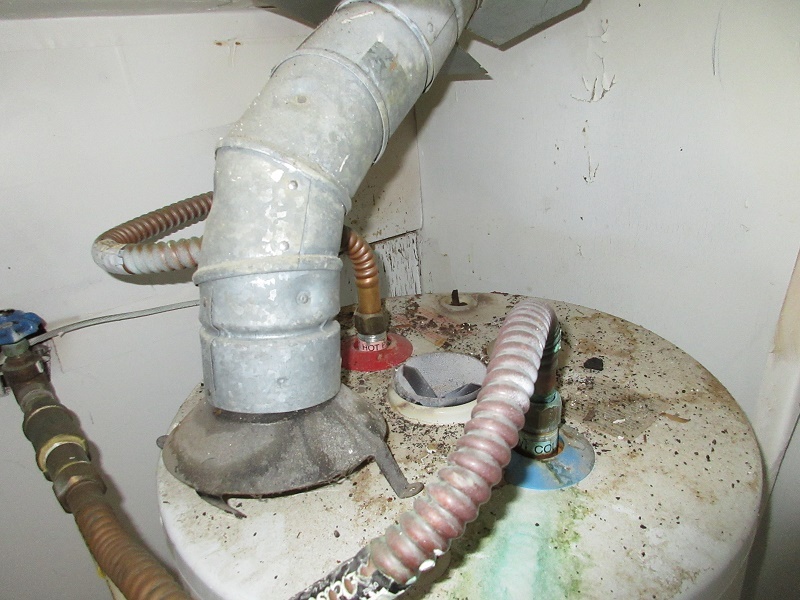 The exhaust flue pipe was disconnected from the exhaust chamber allowing dangerous carbon monoxide gases into the home. These gases can be fatal. No carbon monoxide detectors were present in the home.